The Moon wanes. Maybe there's some sense of relief or unwinding. There may also be preparations for changes after October 8th's New Moon. Build some rest and self care into your week. I'm at Greener Postures for Yin yoga classes, down on the floor stretching with meditative atmosphere and thoughts and suggestions for being more at ease in your body and mind both. Those classes are Sunday 5:30-6:45 pm and Thursday 5:30-6:45 pm every week in South Portland GP studio. Also, I'm one of four teachers leading a donation based benefit class there Friday, the 5th, coming right up. Here's a link to my blog with more info on that and a set of songs even if you live far away and wouldn't make a class. As we move from one month to the next, here's your daily forecast with the Moon in mind. Sunday: Pluto direct in Capricorn. Those of you with Pluto in a prominent place in your own chart or having a Pluto transit may be most interested in knowing that. If you have been engaged in a deep and sometimes scary internal process, Pluto direct may be a turning point. This is Scorpio's planet. The influence may be below your daily consciousness, in the recesses of the emotional mind. Gemini Moon void of course 11:38 am EDT on. Ideally take it easy today. A Sunday drive might be nice! Today's color is Light Blue. Monday: Void Moon until 2 pm EDT. Adjust for your time zone. This could make the morning really easy going or it could add to confusion, adjusting or forgetfulness depending on your schedule. It's best to have nothing of great importance planned. At 2 EDT the Moon shifts to Cancer. Harmony with Uranus and opposition to Saturn indicates a LOT going on today, particularly with family, home, property and investments. Today's color is White. Tuesday: 4th quarter Moon. Wind down if you can. Take care of your body and any symptoms under Cancer Moon. I personally find this Moon time a vulnerable one for having a cold or needing extra rest. See how you feel and follow suit. Pluto and Mercury are the most active planets today and so communication and the things we push to the back of our minds and hide from are exactly what needs to be aired out, dealt with, reconciled or acknowledged. Take a deep breath and let something go in favor of healing or intimacy. Notice what your blocks or triggers are and see if there's a way to move through them peacefully. Today's color is Black. Wednesday: Another long void of course Moon is from 4:33 am to 5:12 pm EDT. If you have something to look forward to in the evening, the Leo Moon shines well for that. Stubborn-ness or perhaps it's more like persistence characterizes the later hours too. Know when to say when though. Go easy with criticism and self talk today. Make some space for resting or taking care of things at home, or both. Today's color is Purple. Thursday: Leo Moon opposite Mars, ingenious and inventive in Aquarius. Sun and Moon in harmony in air signs. Work together on something that'll wow 'em. Let stubbornness go in favor of the kinds of compromises needed to make it all happen! Today's color is Orange. Friday: Leo Moon void from 7:34 am to 7:19 pm EDT. If you've felt challenged in getting things done, committed to, or to focus, these void Moon hours may be a reason. Be gentle with yourself. It'll all be accomplished, perhaps after Monday is best anyway. Today is about connecting with others, socially or in meetings where flexible plans may be made. Venus retrograde begins. Some say it's not the best time to start dating and some relationship matters may need revisiting in the next few weeks. Virgo Moon 7:19 pm in harmony with Uranus. This is physical energy. Listen to your body. Today's color is Brown. Saturday: Virgo Moon in the balsamic phase. It's dark Moon time where the Moon is a thin sliver if visible at all. Prepare and plan. Allow for flexibility in all that happens this weekend as well as in future oriented plans. Today's color is Navy Blue. The next Yoga for the Lunar Cycle is 4th Wednesday, October 24th at 6 pm. Please join us at The Sunshine Factory for a Taurus Full Moon class with yoga, meditation, and some dialogue about the month's aspects. Sign up is on at The Sunshine Factory Maine, located at Brick Hill Castle in South Portland, Maine. Note that this is one week ahead and scroll down for the week of September 15th. Wednesday I'll host Yoga for the Lunar Cycle, the first of an autumn monthly series on 4th Wednesdays at 6 pm at The Sunshine Factory South Portland, Maine. Come to all 3 and feel the rhythm of your own lunar cycles. I'll offer some tips and insights to help you chart your course and journey of self inquiry. Sign up at The Sunshine Factory Maine. Sunday: Pisces Moon near Full and meeting Neptune. Yes that means overflowing emotions and everything water related is up for high tide. Mercury square to Saturn and trine to Mars is pushing for agreements, decisions, and action on any sort of pending matter. As is the Full Moon which brings completions and the time to choose a path or response to what life is offering. Full Moon is in Aries Monday at 10:52 pm EDT. Today's color is Light Blue. Monday: Void Moon time 1:26 am to 7:04 pm EDT. Those could be long hours of contemplation, what if scenarios, indecision under pressure or taking time to finish important natters. Some will not want to face the day and hide out. Some things will go easy, so ask for what you need. Jupiter made the final aspect to Pisces Moon and Jupiter is expansive and beneficial as long as it's not over the top, overboard, and excessive (cause then it's just too much to be good for you). The Sun and Moon oppose always at Full Moon, tonight that's 10:52 pm EDT, in Aries which instigates and facilitates active engagement, rebirth, and movement in a direction. Shortly after midnight EDT, the Aries Moon squares Saturn, so do Own your actions and decisions. Today's color is White. Tuesday: Aries Moon, still in the Full zone, opposing Mercury which makes contrasting opinions and methods clear and obvious. We may need to work on compromises or consensus. The Sun and Moon both square Saturn, lending a serious tone to all matters. We mustn't take things, such as promises, lightly. Examine and feel your motivations and intentions, seeking pureness of heart. Today's color is Red. Wednesday: Aries Moon void of course from a 6 am EDT square to Pluto. The Pluto square indicates the depth and meaning behind actions, decisions, and events of this Full Moon time. Slow down a bit and process. It's a whole day of void Moon and we should not rush or allow ourselves to be pressured. Step back and feel. Squares challenge us to grow and evolve and not take the easy way out. We've had a number of significant squares during this Full Moon, mostly involving the cardinal signs which initiate, refresh, and move things forward. Today's color is Black. Thursday: Taurus Moon time begins at 3:16 am EDT and the Moon meets Uranus at 6:11 am EDT. Ruler of Aquarius, this planet relates to rebellion, original ideas and destroying to recreate. The Moon also squares dynamic and forceful Mars. The Sun in airy, cardinal Libra aligns with Mars too. That may help us with backup, support, and aligning with others who share our vision. We'll need it since there's some fierce fixed energies and it may be hard to change minds. Stubbornness or persistence, passionate or obstinate, what's decided today has long term implication and impact. Today's color is Gold. Friday: Taurus Moon aligns with Neptune, Pluto and Jupiter and is then void from 6:36 pm on. Tend to the autumn yard work and other repairs. Spend time doing satisfying, hands on projects. Creative and romantic vibes. Today's color is Pink. Saturday: Taurus to Gemini Moon at 9:26 am EDT. Mars and the Sun are in harmony with the Moon for a social and team oriented day. Wear Yellow. I'll be at Love YogaFest in Falmouth, Massachusetts Sunday, the 23rd for Full Moon & Autumnal Equinox Yoga! There are still spaces in many workshops. Join us for a weekend by the sea! Sunday: At 7:15 pm EDT the Moon is void of course. Sagittarius Moon for spontaneity and also for studies which may take priority. This is the sign of higher learning, square to Mercury and the Sun in Virgo as well as Neptune in Pisces. Be responsible or procrastinate and enjoy some fun. Today's color is Yellow. Monday: Void Moon ends at 7:07 am EDT and the Moon shifts to Capricorn. The early hours, once again, may find us forgetful or a bit disoriented by the start of a business/school week. Capricorn Moon though, pulls us to projects and whatever needs to be done, especially with the Moon meeting Saturn. Own up to your actions and duties. Today's color is Green. Tuesday: Capricorn Moon. Mars square to Uranus in Aquarius/Taurus can be rocky and feel unstable. Tend to the earth and your own grounding. Some situations will feel unyielding. Others may seem to fall apart at the seams. Brown is today's color. Wednesday: Capricorn to Aquarius Moon, void 1:10 to 7:52 pm EDT. Hours before or after that time period are more reliable. The Aquarius Moon squares Uranus. This is our new monthly cycle and reoccurrence. It's shaky ground and reminds me of natural occurrences like earthquakes or high winds that pull on tree roots. Despite the Uranus activity, the Moon aligns with both the Sun and Mercury in Virgo before moving to Aquarius at 7:52 pm EDT. Aquarius Moon favors working on your plans and visions. Today's color is Silver. Thursday: Aquarius Moon meets Mars with an ingenious and dynamic effect. The Virgo Sun, so different in an earth sign, meets Mercury for analyzing and solving problems and for networking to get help with personal tasks or to hire or be hired for work. Today's color is Blue. Friday: Void Moon 1:13 pm EDT until Saturday at 8:27 am. This is the last full day of summer season. Mercury jumps into Libra first at 11;59 pm EDT. The Full Moon is warming up and may be felt now. The Moon squares Jupiter and leads to persistence and intensity. Taking the afternoon off will be a stress reliever. Actions taken during Void Moons often don't lead to much anyway. Today's color is Turquoise. Saturday: Moon to Pisces 8:27 am EDT. The Moon is in harmony with Uranus and Saturn. Connect to big ideas and follow through on plans. The Moon is nearly Full, leading toward Monday night's Full Moon. The Autumnal Equinox begins Libra season and fall truly begins at 9:54 pm EDT. Today's color is Green. 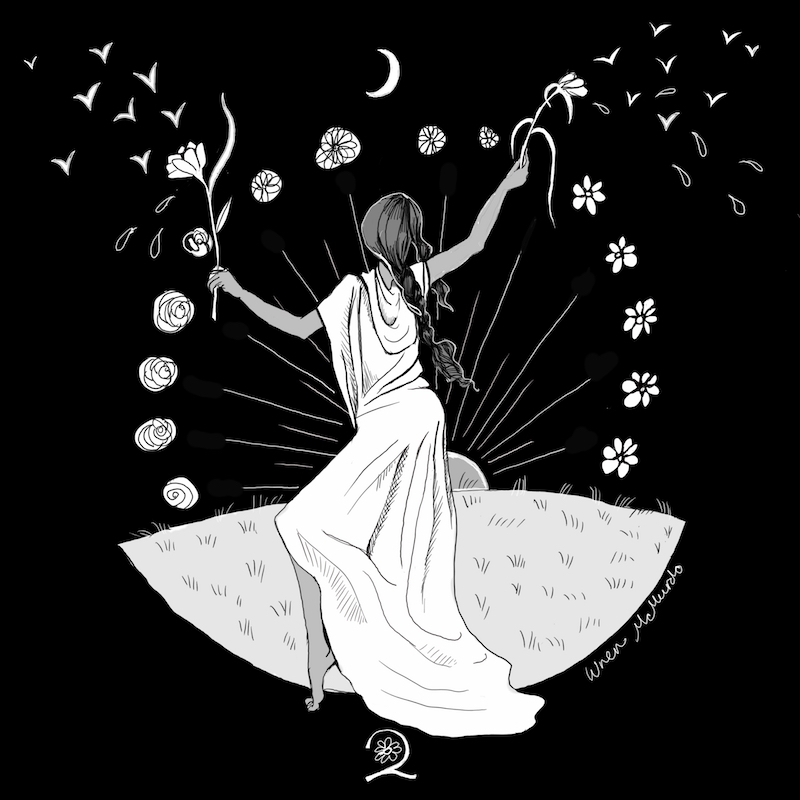 Sunday: New Moon in Virgo 2:01 pm EDT. Venus shifts to Scorpio. This is a good time for plans, launches, new construction, changes in routine and willingness to change your mind, to help others, and to improve your health habits. Take care of your body and your physical space. Today's color is White. Monday: Mars moves to Aquarius 8:56 pm EDT. Mars in Aquarius and Venus in Scorpio have very different takes on relationship. Venus holds on tightly in Scorpio, inducing passion but also possessiveness, sexual chemistry yet also obsessiveness. Mars in Aquarius is physically more detached and interested in connection of the minds. Both are fixed. In dating, love, or getting to know each other, maybe take it down a notch especially if you think the 'other' is much more or much less interested than you are. Virgo to Libra Moon 11:20 am EDT. Justice is a theme for the next 24-36 hours. Today's color is Blue. Tuesday: Libra Moon focus is fairness and equal give and take. Be fair with your self as well and avoid negative self talk. The Sun aligns with Jupiter and Pluto for growth and positive developments. It's also a good day to get organized or to take a next step forward and conquer a fear. Void Moon 6:58 pm EDT. Social or do some reading tonight. Today's color is Black. Wednesday: Scorpio Moon time begins at 2:15 pm EDT and prior to that the Moon is void of course. Keep those hours simple and be extra organized and on time. This looks like an interesting and mixed day. Venus is the most engaged planet, opposing Uranus in Taurus, meeting the Moon, and aligning with Saturn. Relationship goings on will be intense and obvious whether it's new love, making important life decisions together or having difficulties and changing status. Today's color is Maroon. Thursday: Scorpio Moon. Mercury is actively in harmony with the Moon and opposite to Neptune. Keep communication clear, ask questions and seek what's true and real. Repercussions and vibes of last Friday's Sun/Neptune opposition are in the air so today may be a continuation of what you were wondering or questioning then. Today's color is Indigo. Friday: From 4:54 to 8:45 am EDT the Moon is void of course, then moves to Sagittarius. The early hours could be forgetful or some will sleep late unintentionally. Sag Moon favors acting on things, being brave or adventurous, and is in harmony with planet Mars, the warrior. Go forward with confidence, yet keep others' feelings in mind. Today's color is Red. Saturday: Sagittarius Moon for weekend road trips and fun. Mercury and Pluto align in earth signs. Communicate the truth and your feelings, and be honest with yourself and in your dealings with others. This is a favorable time to act on what's been pending. Today's color is Purple. I have a new tarot deck and as I start my relationship with it, I'll do some very affordable readings. 3 card readings $27. You'll receive the reading and a photo of the cards by email. It's perfect timing with Sunday's New Moon! To book and to pay with paypal, use robinivy88@gmail.com address. If you want to send a check instead, email me for info. Sunday: Gemini Moon time starts at 4:02 am EDT. The Moon square to Mars at 10:37 pm EDT is also the 4th quarter Moon and we begin to wane toward New Moon of Sunday the 9th. Start rethinking decisions made in the past few weeks. It's prime time to change your mind. Today's color is Blue. Monday: Gemini Moon, Mercury and Venus in harmony. A very social day. Reorganizing and reconnecting with family and friends is favored. Time for a 'way with words' personally or professionally. Today's color is Yellow. Tuesday: Gemini Moon void 2:37 to 8:03 am EDT. Cancer Moon time begins at 8:03 am . It's a family oriented day and we'll gravitate toward the familiar. With Moon opposite Saturn it may be a task to keep interactions light. Cook, clean, and take care of your people. Today's color is Black. Wednesday: Cancer Moon and Mercury moves into Virgo. The Moon has multiple, mostly harmonious aspects for good feelings and connections. Keep fears in their place so they don't disrupt the flow. Today's color is White. Thursday: Saturn direct 7:09 am EDT in Capricorn. Void Moon in Cancer 8:43 am to 9:54 am EDT. Avoid that hour for anything that could be messed/mixed up. After that Leo Moon favors learning opportunities and rehearsing or performing. Strong personalities may clash of be in conflict as the Moon and Uranus square. Today's color is Purple. Friday: Leo Moon. Sun opposes Neptune and there's a question of whom or what can be relied on. Notice discrepancies and unrealistic ideas. Mercury in Virgo is in harmony with Uranus and Saturn for reality checks. Some will rock the boat. Today's color is Gold. Saturday: Leo Moon void 9:31 to 10:29 am EDT. Virgo Moon in harmony with planets in Capricorn and Taurus indicates a good day for organizing, streamlining and getting things under control. It's a planning time as we move toward New Moon Sunday at 2:01 pm EDT. There's often reconsidering and changes to be taken care of at times like this. Venus square to Mars may throw relationships into question mainly if there's disagreement and a discrepancy in ways of thinking or managing life. The Moon meets Mercury and clear communication is key. Today's color is Indigo Blue.